Bitcoin has been in the headlines often for the last couple years. It was heralded in the media as "a new kind of money," a form of e-currency that was supposed to level the global financial playing field so that no one country would have a monopoly on the economy. Mt. Gox, a short form of "Magic: The Gathering Online Exchange," was smoking hot. Fantastic stories appeared almost daily of Bitcoin valuations rising at astronomical rates while making overnight millionaires of people who had "discovered" forgotten caches of bitcoins in their computer hard drives. For a while, it appeared the goal might be achieved, but then suddenly Bitcoin mania was stigmatized by word of scandal. Mt. Gox was shut down suddenly in February of 2014. So, "What the #!$% Is Bitcoin? ," you might be asking. Mr. Ryan Thompson, writing for IMS ExpertServices, addresses the issue here. In wake of the world's second largest heist, a Japanese bitcoin exchange company filed for bankruptcy in the U.S. this month. Facing multimillion-dollar lawsuits in federal court, Mt. Gox, a company originally created to trade Magic role-playing game cards, has thrust the mysterious world of bitcoins and crypto-currencies into the mainstream spotlight. Now, many lawyers, judges and legal experts are asking themselves the same question: "What the #!$% is a bitcoin?" Bitcoin (with a capital "B") is an online payment system believed to be created in 2009 by a person, or group of persons, operating under the alias Satoshi Nakamoto. While Bitcoin refers to the peer-to-peer network that is supported by the users themselves, a bitcoin (with a lowercase "b") is the actual form of pecuniary unit. Perhaps the original Bitcoin website says it best: "Bitcoin is a new kind of money." It is unlike anything we have ever seen before. Some experts say that it is not inconceivable that Bitcoin or another crypto-currency could become our society's primary means for monetary exchange in the future. But earlier this month, American business tycoon Warren Buffett called Bitcoin a "mirage" and cautioned investors to "stay away from it." Buffett compared crypto-currencies to money orders and checks, which have no actual value themselves. He told CNBC that, "The idea that [Bitcoin] has some huge intrinsic value is just a joke in my view." But joke or not, millions of real dollars are still being moved through bitcoins. On the date of this publication, one bitcoin was worth $584.04 (USD). The price of a bitcoin has been extremely volatile – ranging from less than $60 a year ago, to over $1,100 in December. Last year, a Norwegian man who had purchased 5,000 bitcoins for $26.60 in 2009, checked his investment and discovered they were worth $886,000 (USD). Despite being online-based, there are actual physical bitcoins, which are gold-colored and have a holographic seal that protects a 30-digit computer key number. Possessing one of these physical bitcoins, however, is not necessary to own real bitcoins. Bitcoins, and other forms of crypto-currency, are not real currency. Some financial experts consider bitcoins a commodity, and in recent months, both Japan and Finland officially classified them as such, after failing their currency tests. However, as more and more experts continue to research and develop their own expertise in this relatively new field, these experts caution that classifying bitcoin is not so simple. "Bitcoin is a protocol with certain functionalities that some people use in similar ways to currency or commodities, but it is so much more than either," monetary scientist and Bitcoin expert Trace Mayer told BullsEye blog. Duke University Finance Professor Campbell R. Harvey agreed. "It is a way to exchange property." "It is better thought of as a currency, but it is different. There are two types of currency: fiat and commodity-based. The commodity-based is a gold or silver standard. Fiat relies on government. Fiat, in the U.S., has not been backed by anything specific since 1971," explained Harvey, who teaches Bitcoin as a substantial part of his School of Business syllabus. "Bitcoin is not backed by any commodity. It is a type of fiat that is not backed by any central institution. It is backed only by the Bitcoin network and people using bitcoin because of the efficiency in transactions." In fact, bitcoins are actually created by us. This competitive process is called mining, and it "is the process of making computer hardware do mathematical calculations for the Bitcoin network to confirm transactions and increase security. As a reward for their services, Bitcoin miners can collect transaction fees for the transactions they confirm, along with newly created bitcoins," according to the original Bitcoin site. To mine bitcoins, one must possess a piece of bitcoin-mining hardware. These devices range from $20 or $30 on eBay, to over $20,000 for a top-of-the-line miner. Last month, one bitcoin-miner manufacturer also found itself in U.S. District Court, being sued by a man in China for breach of contract and fraud for not delivering his devices. The Kansas-based Butterfly Labs has already lost a similar civil case on default, and more lawsuits are expected to be filed. That fraud and breach of contract case does not compare to those filed against Mt. Gox, which is an acronym that stands for "Magic: The Gathering Online Exchange," in reference to the role-playing card game that is popular amongst some high school students and computer enthusiasts. The breach of contract case filed by CoinLab, Inc. in the U.S. District Court in Seattle against Mt. Gox seeks damages of $75 million. The class action lawsuit filed in U.S. District Court in Chicago on behalf of U.S. bitcoin traders alleges fraud by Mt. Gox, which admits to losing 750,000 bitcoins, worth approximately $450 million at the time. "Mt. Gox was robbed in June 2011. It has long been known that Mt. 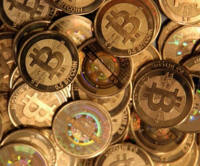 Gox had software issues," Prof. Harvey said. "The size of the heist is staggering – the largest in history, aside from Saddam Hussein's ‘withdrawal' of $1 billion from the Iraqi Central Bank in 2003. Bitcoin is young. There are going to be growing pains – and part of this growth is to develop a secure, reputable set of third parties that support Bitcoin. "Mt. Gox does not equal Bitcoin." When asked by BullsEye if he personally would use Bitcoin for a monetary transaction in excess of $5,000, Prof. Harvey said that he would have no issue with doing so, and that using bitcoin will likely make the transaction cheaper for both buyer and seller. "If I am buying something that lists for $5,000, the retailer could offer me a $100 discount if I used bitcoin and still be $50 ahead of the game versus a credit card (3% fee to credit card company would be $150)," Harvey explained. Mayer, who authored the Bitcoin Beginner's Guide, also pointed out that Bitcoin excels particularly with larger transactions. "Bitcoin will continue growing and succeeding with greater merchant adoption and advancements in multi-signature technologies being deployed in 2014. Other crypto-currencies will continue the relentless process of financial innovation." But, Mayer said, bitcoin users will have to be extremely cautious with protecting the private key numbers. These key numbers combined with the cryptographic signatures prove that the bitcoin being spent belongs to the possessor of such. These mathematical components are calculated and cataloged on the public Bitcoin ledger known as the block chain. The alleged computer thieves in the Mt. Gox case appear to have tampered with the identifications of the bitcoins during or immediately after the mining process and prior to their approval with the Bitcoin network. In what is called "transaction malleability," the thieves requested withdrawals from Mt. Gox, and, through a complicated hacking process, changed the transaction ID and claimed the bitcoins were never sent. They apparently did this enough times to make off with the second largest heist in history. Profound Prophecy: Bitcoin to Change the World? "Mt. Gox's collapse might represent the end of the 'Wild West' where anyone can set up shop and deal in crypto-currencies. Increasingly sophisticated investors, such as [Netscape and Mosaic co-founder] Marc Andreessen, are funding serious ventures. These new ventures will, along with their backers, raise both quality and confidence," Prof. Harvey said. So what of the dangerous "mirage" that the "Oracle of Omaha" warns us to avoid? "A mysterious new technology emerges, seemingly out of nowhere … Political idealists project visions of liberation and revolution onto it; establishment elites heap contempt and scorn on it. Eventually mainstream products, companies and industries emerge to commercialize it; its effects become profound; and later, many people wonder why its powerful promise wasn't more obvious from the start," Andreessen wrote recently in the New York Times." "What technology am I talking about? Personal computers in 1975, the Internet in 1993, and – I believe – Bitcoin in 2014." Will Bitcoin and other crypto-currencies become the way of the future, or are they just a "mirage" of fictitious value? Will you begin using bitcoins or other crypto-currencies if it saves you money?